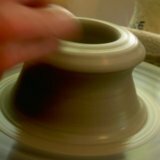 Thousands of people visit this site each month to learn about making pottery. 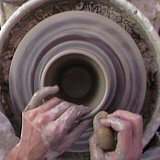 Why not share yourself and your work with them by creating a FREE pottery artist listing of your work on our featured artists pages? You can also include a bio about yourself and your pottery for FREE! 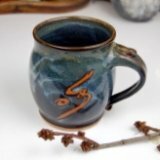 Know a unique pottery technique that other potters need to know about? Share your expertise. 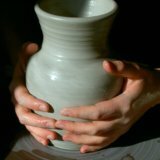 Have a story or photo about your first pottery making experience? I'll make it into a personal web page for FREE. You can even link to it on Facebook or your Blog and share it with friends. I'll build your page for FREE and send you the link. Your First Pot - How was your first pot-making experience? Wheel Stories - Share a story and/or photo about what you love or hate most about your pottery wheel, or read others' stories. Sit in the Instructor's Seat - Pass on your favorite pottery tip, trick, or technique. Artist's Listing - Tell us about YOU. Include photos of your pottery and "Get Discovered", or see what other potters are creating.